In that case they had church in the only place they could meet and it happened to be a house. No, I’m talking about this idea that I can’t find any church pure enough for me and mine, so my house is my church. That would have its perks—scheduling family and church activities would be rather easy when the only schedule I would have to consult is my own. If I didn’t finish preparing my message and it is only my family, how easy would it be to watch “The Andy Griffith Show”. (Perhaps some episodes of that show would be better than some of the messages I’ve preached, but that is beside the point). The phrase “within thy gates” means at your house. There are some activities that should take place at God’s House. No amount of verbal acrobatics will nullify what the Lord says. This is nothing more than a repackaging of the old I’ll-have-church-in-nature routine. You know, I worshipped the Lord Sunday morning at the fishing hole. How does that work? Is there some spiritual way to hold the pole or bait the hook? I think of the Lord when out in nature too, but does that replace His call to corporate worship? This all springs from a misunderstanding of all the Lord had in mind when He gave us the local church. Part of the idea was that there should be other Christians in it besides me and my family. Hopefully my family is already encouraging me and surely they are praying for me. I need more prayers, more encouragement, more of the Word than I can have at my house alone. 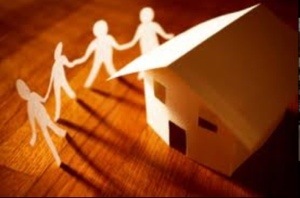 Then there is giving and reaching out and the local church is what the Lord has designed for this very thing. It’s not about that building, but we need that body of people in our lives. We need a local church. We really needed the help. 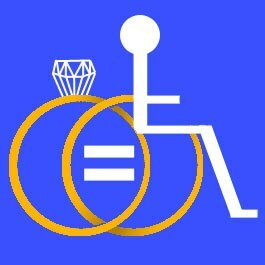 When I first read the statistic that disability marriages fail at a rate of 80%, I assumed that was just because one ran away from responsibility. Turns out, it was much more than that. When a major disability enters a marriage, it is like beginning again. You truly become two new people. There isn’t the dating time to work through adjustments, nor is there a honeymoon period, just an instant new way of life. Two things have given me the opportunity to deeply think about this subject. One is a new book by Ken and Joni Eareckson Tada entitled Joni & Ken: An Untold Love Story ( reviewed below), and the other is my wife so carefully keeping me informed about a tragedy that has struck the lives of Mendy and Jason Brockman. Mendy is in the first weeks of adjusting to paralysis resulting from an auto accident. Since Alicia and I now have 4 years under our belts in disability marriage, we almost relive in horror what these days are like for a couple. Not that I personally knew that couple, I didn’t (Alicia went to college with Mendy); but I know something of the physical, emotional, and even spiritual, roller coaster that they travel at high rates of speed. Every word you hear about them is that they are wonderful Christian people with a beautiful family and an effective ministry. Still, when you have spent your life riding little carousels, roller coasters take your breath away. Alicia got burdened the other day and began a blog series on her blog (here) I am so glad that Alicia could help in that way! Naturally, I have thought a lot about Jason too. Alicia plans to write a blog post on the caregiver in a disability relationship. I will be interested to hear her perspective on the able-bodied one from the view of the one in the chair. (She plans to consult me and I have given it much thought). So as I write today I have Ken and Joni with 30 years of marriage with disability on the one hand, and Jason and Mendy Brockman with only days of a disability marriage on the other, to interpret my own with Alicia of 4 years. One couple gives great insight, the other needs it, and Alicia and I stand in the middle both giving and needing. We are progressing, but we have not arrived. For me to write about disability marriage from my side is awkward on two counts. First, to share my issues may sound like a plea for pity. Though I may be pitiful, I think we are far enough through the crisis that I feel somewhat normal again this year (2013), which I have not since 2009, and really don’t need the pity now. I both got some pity, and needed it, in those earlier days. Second, I am basically a private person, unlike my gregarious wife, and I find discussing failure unpleasant. I am comforted in some measure to learn that the great Ken and Joni, despite a real love, had real rough spots. At the same time I can imagine in some measure what is going on in Jason’s mind right now. Our stories aren’t the same. 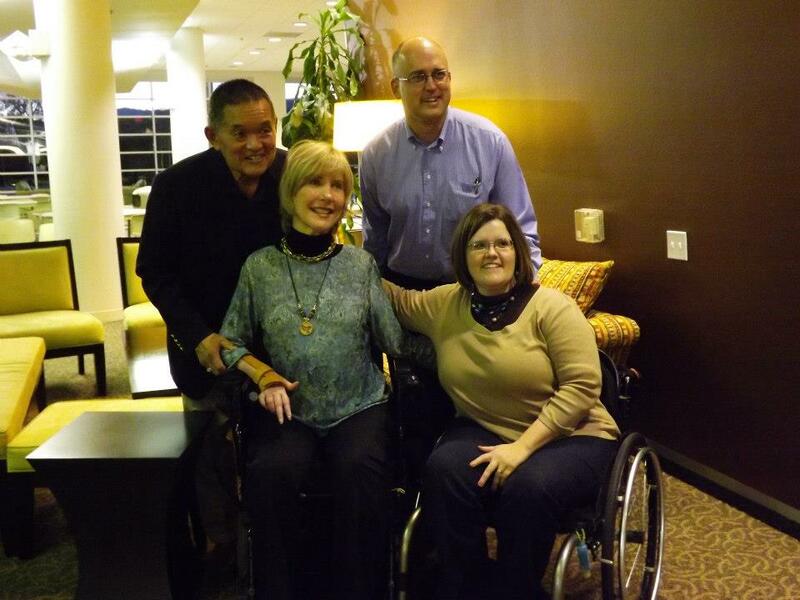 Joni and Mendy suffered accidents while Alicia got sick over time with transverse myelitis and then woke up paralyzed. Joni and Mendy are both quadriplegics while Alicia is just a paraplegic. In any event, after reading Joni and Ken, I suspect the marriage issues are the same. I think first how naïve we were not to expect difficulties in our marriage from this disability onslaught. Physical adjustments were apparent on the first day, as were changing roles for each of us individually, but what this would mean to the mysterious union of two people transforming into one never crossed our minds. Ken married Joni knowing of her disability, yet he relates how completely he underestimated all it would mean. Not that it would have mattered at all if I had known either, as Alicia is mine and the one I want then, now, and forever; but the point is there is no way to grasp all a disability will mean. Complete confusion was part of my issues. Mental chaos led to just trying to survive the day with no thought of bigger things to consider. I had a struggle for a while the first year where Alicia really had a big spiritual breakthrough in dealing with this new life. That is ironic and embarrassing in that she carries by far the greater part of the load with this new life of disability. Then, for a part of last year I had another rough patch. I am glad you don’t know everything I said or did to Alicia then. On occasion Alicia said a few rough things to me too. We worked through and go forward today. I learned more than ever that the Lord loves me, and I love Him. I learned I really loved my Alicia too. I can be the romantic guy pretty easily, but I had to learn more–I had to learn more how to love her. I had to learn all that was at stake. I suppose every marriage must learn this, but a disability brings on the crash course. A disability won’t let you learn this strolling through the years. It must be now, or fall apart. I’m supposed to be talking about marriage, but let me digress for a moment. I learned of ugly things inside of me. Had you asked me if I loved the Lord and wanted to serve Him, I would have honestly said “yes.” It was true then, through the rough patches, and now. Still, there was that ugliness. Here I was the preacher, here I was the guy with somewhat a reputation of being a Bible student, here I was the guy who could show you the appropriate passage in Scripture on most subjects, here I was the guy who read all those books, and the entrance of a disability into my life and marriage exposed me. There was a real lack. I have some spiritual wounds to show for it, but it has been a good thing in my life. Christ, I have learned, still knows how to tend the wounds of the guy lying in the ditch on the side of the road. It is strange that he has to break us to put us together, yet that is the reality. A tear on the keyboard speaks to the raw emotion I still feel. You surely realize that a disability in you or a loved one is not about the disability itself. It is about God molding your life. It is about love, not hate. It is about help, not hurt. It is the Lord confessing for you what you so calmly ignore–that eternity outweighs time like a mountain outweighs a pebble. I don’t know why God designed marriage like He did. It baffles me really. There’s romantic flutters and domestic pain, there’s the deepest human love you will ever know and some of the worst frustration you will ever feel, all rolled up in that one person called your spouse. It is hard to make this perfect union of two when each one is so imperfect. I feel like I’m rambling, but maybe this is more to the point than I first imagined. Marriage is not a bed of roses. The Bible would not have had so much to say on the subject were that so. But back to Ken and Joni, and Jason and Mendy, and even Jimmy and Alicia. Disability adds another difficult layer on an already difficult situation. It affects the marriage on every conceivable level. Whether it be defined roles, or priorities, or physical or sexual life, or even just knowing each other, it is different. Really different. Still, it is worth it. Despite the whirlwind ride this disability brought in my life, I am blessed beyond measure to have Alicia. Her contributions to my life go far, far beyond the deductions. Ken, more or less, said the same thing. Jason will say the same thing too when his roller coaster finally slows down. When he finally can comprehend his losses, he will as both Ken and I have, also be able to tally his gains. And then we can all praise the name of Jesus Christ! Every couple should read Joni & Ken: An Untold Love Story. It takes us beyond the fairy tale to something tangible marriage can really be. Disability is not the only difficulty that can slap a marriage, so every marriage would be better off to learn from Ken and Joni’s journey. What finally comes is truly a greater love story than the fairy tale could ever be. This book is not a list of self-help points. You must make your own list. It is just the real story, warts and all, that a real couple faced. That they are well-known adds to the drama, but it is real life you read of here. I simply love it. I applaud their honesty. It took courage, but because of it, it is of far greater value. Thanks Ken and Joni! How would you like a down-to-earth volume that would make sense of the Devil and demons? One without bizarre extremes but still fully believed in demonic reality? Then you need this volume by Mike McKinley and published by The Good Book Company in its Questions Christians Ask series. He gives background on the issue and even tells how African Christians laugh at Westerners who disbelieve the reality of demons. He strikes the right balance between understanding what we need to know about such things without getting obsessive or too deep into it. He respects that The Lord has told us what we need to know and asks us to be simple concerning evil beyond that. He tells us of the origin of Satan and explains the names of Satan. He describes him as trying to destroy God’s creation as his vigilant motivation. He outlines the tactics Satan uses against us while remembering that the Devil is not all-knowing. He talks about what he feels demon possession really is, and he distinguishes it from mental illness. Demonic strongholds are discussed without them seeming as insurmountable as some present them. 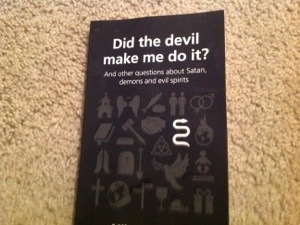 He offers sane advise if you feel you come in contact with demonic activity. explanation of Isaiah 14, but I still recommend this volume. This is a guest blog by my sweetheart Alicia. We both so admire Joni, and this book has been a big help to her! I first read the book, Joni, shortly after I became paralyzed. I enjoyed the book then and found Joni Eareckson to be extremely inspirational. She wrote the book several years after she had been paralyzed so the book has a very fresh approach to the feelings and emotions that follow this kind of life changing experience. When I read the book the first time, I very much related to her physical responses, her frustrations, and her insecurities. I read with hope that one day I could learn all the things that she had learned. After being paralyzed now for over 4 years myself, I just re-read the same book. It was so interesting for me to read the book with a whole new set of emotions now. I am into this paralysis journey myself and am at peace with it. The questions and thought processes that she had with God, how her paralysis affected her relationships with people, and how she realized that if being in a wheelchair would bring someone to Christ then it was her gift were subject matters that completely eluded me in my first reading because I had not had the time to experience these things. Reading the book this time was refreshing and encouraging once again and after working with the Joni and Friends Ministry, I find her more inspirational than ever. I, for one, am thankful that the ministry that the Lord gave her so many years ago in the accident that broke her neck, did not break her spirit. God has used her limitations to reach and give hope to those like me. Her heart to use what has been allowed in her life to reach out to others instead of wallowing in self-pity is an example that I pray I can follow. May God use my chair to reach others like Joni has. I finished her follow-up book, A Step Further, yesterday. I had never read it before. It was a deeper approach to the many questions and comments that you get after becoming paralyzed. Joni tackled each questions with the Word of God and was open and transparent as she shared her journey of answering these questions in her heart. Does God still heal? Is Satan in charge of our health? If we don’t get healed, is it because our faith isn’t strong enough? Why would He heal some and not others? I have personally been asked many of these questions, I have been told where I was a spiritual failure because I am still paralyzed after 4 years, my friends and church have been accused of not having enough faith for me, and I have had people want to “heal” me several different times. Reading this was refreshing to say the least. I loved her candid look at many Scriptures (not just a few plucked favorites) and how she compared Scripture to Scripture to give us God’s view of suffering and miracles. I highly recommend reading her story in her first book, Joni. However, don’t stop there. Continue on in her sequel, A Step Forward. Together, you will get a clear understanding of the many emotions, thought processes, reasoning, and resolve that surrounds a devastating life change. His subtitle “An Exploration in Vocational Holiness” tells us where he is going in this incredible book. He uses the story of Jonah to chart a course for us where Jonah’s struggles show us the pitfalls before us today. He guides us to see that we have a well-defined vocation if we could cast off the fog of the world that would re-define it if we would allow. In a majority of pastors, sadly, this switch has already robbed us of our calling. I love how he relates flashy Tarshish to the ministry of today as many perceive it. But he explains: “ …pastoral vocation is not glamorous vocation and that tarshish is a lie.” If this gets out, many may leave the ministry if they can’t squeeze glamour out of it! In fact, in every place possible he reminds us of how human congregations really are. There is so much more and he relates how he learned some of this the hard way in his own pastorate. 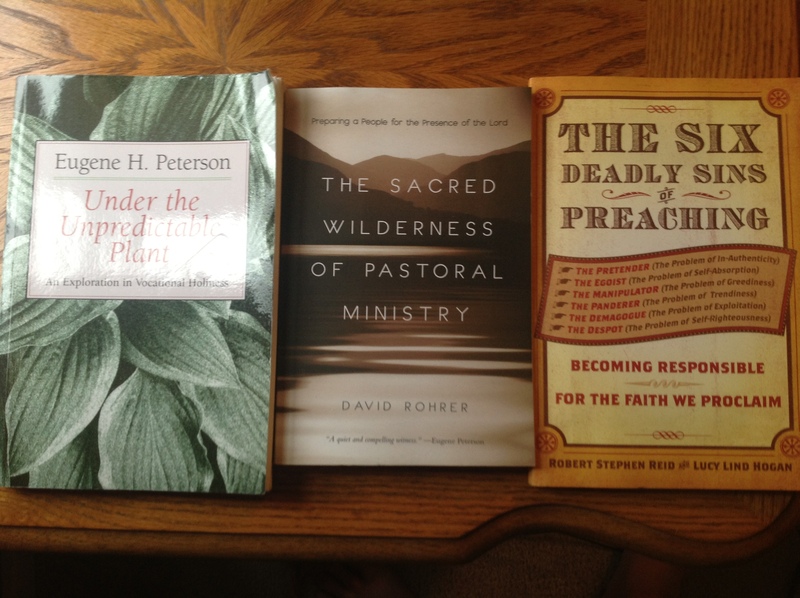 I plan on getting other Peterson books on the ministry! When he writes about conflict, he gives great help. He shows that we often blow it because we see the conflict as against us personally and not against the Lord. That error will greatly raise your stress level. I’m amazed this book is so good. I imagine I would disagree with the theology of these two writers on many points. Still, it holds we who preach to account and is incredibly convicting. The sad part was that I felt traces of myself in almost every one of these! I suspect churchgoers would love for all of we pastors to read this volume! Every pastor needs to read this book. He pierces us until he gets our hearts. This book brought major conviction to my life. Read here for a fuller, earlier review I did. Here was another book that met a personal need for me. Read it to be prepared for burnout that may come, or run and buy it if you already feel it. Again, read here for an earlier review. You can find all posts and books reviewed in this series in the Introductory Post. The written record we have makes it clear. Our life experiences confirm it in every instance. We are swept from God’s way at any given point from one of two streams of thinking. We either are bewitched into idolatry by our desires or we are escorted into legalism by our pride. I realize sins themselves can be categorized into sins of the flesh or of the spirit, but I refer to where these sins come from. Whether idolatry or legalism, sins of the flesh and of the spirit easily emerge. Before this discussion becomes academic exercise for Christian readers, I, too, want to add that the subject is not any more geared to unbelievers than it is to believers. In that the flesh remains, idolatry and legalism find fertile ground to thrive in any of us. (Since I have swan in the putrid waters of idolatry and of legalism, as well as committed a wide variety of sins of the flesh and of the spirit, I find myself unusually qualified to speak). If you think about it, you find the story of the Old Testament as it traces Israel from its infancy to the threshold of its Messiah tells this very thing. For centuries Israel fell into idolatry at every turn. Whether she ran after the false gods of Canaan, or wanted a king over the King of Kings, she was never far from idolatry till she watched herself ruined and carried away into the Babylonian Captivity. After she endured that painful captivity she shook off idolatry once and for all, but replaced it with a more subtle type of sin—legalism. The key difference in the two is that when you fall into idolatry you tend to know it. You and the Lord are not on good terms and it is as obvious to you as anyone. On the other hand, when you are drowning in legalism, you are usually the last to know it. You and the Lord are still not on good terms, but you are convinced He sits on the throne giving you regular rounds of applause. To understand sin, you must begin with God. It is not only that sin is an affront to God, but that every sin is personally against Him. Every sin we commit is then connected to Him in the sense that it springs from what we think about Him. That thought horrifies me as much as anyone, but it is true. In idolatry I want something other than Him. Any one of a thousand things will do; it just can’t be Him. I want to distance myself from Him, from His way cramping my style. Like the idol of stone, the quieter the better. I will be God for a while. In legalism, I don’t necessarily want Him because I am so sure I already have Him. I get to thinking I have earned God and that blinds me in the ugliest ways. I make myself pleasing to Him and that builds up a reserve that covers an indiscretion here and there, even if that indiscretion is actually horrendous. In a way not so obvious, I will be God for a while. I am sure the Pharisee of Jesus’ day was embarrassed by the idolatry of his fathers while he lived in his legalism. Well, it was embarrassing. Still, there were plenty of Pharisees in the crowd ready to stone the woman taken in adultery when Jesus stopped it. The point is not that legalism is that much worse than idolatry. When Israel was in idolatry, however, she did bring reproach on His Name; and when she was in legalism, she nailed Him to a cross. Still, both are bad and I do no favors to attack one at the expense of the other. That is, though, the heart of the problem. We are usually blind to one or the other. If I am in idolatry, I can spot the ugly pride inherent in legalism a mile away. 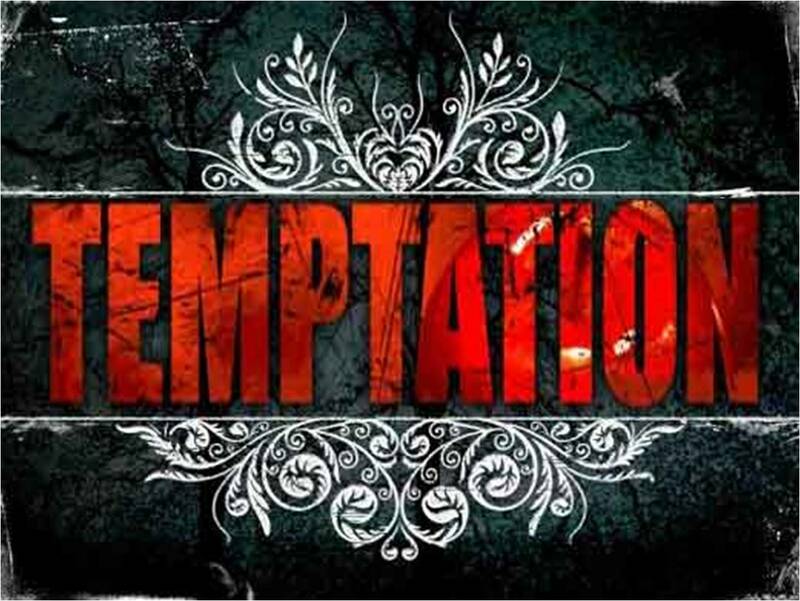 If I am in legalism, I can find the reprobates all around me so easily. The issue becomes which road temptation will travel to get to me. As you can see, it will either be the road of idolatry or of legalism, and it will depend on what I think of the Lord at the time. Looking down one road or the other, temptation will sneak up on me from the other direction. I guess that explains how I have been blindsided so many times!